A new prolacertilian species and genus, Augustaburiania vatagini gen. et sp. nov. (Reptilia: Archosauromorpha), from the Lower Triassic of the Don River Basin is described. It is the first representative of the Tanystropheidae in the Eastern Europe and the world oldest member of this family. Another new genus (Protanystropheus gen. nov.) from Central and Western Europe is also established. The diversity, systematics, phylogeny, evolution, and stratigraphic and geographical distribution of prolacertilians are discussed. 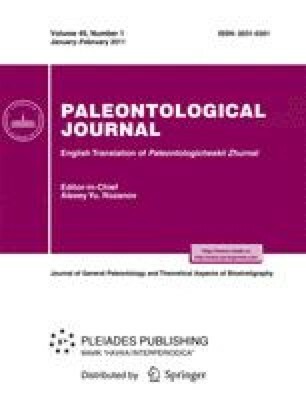 The ecological role of prolacertilians in Early Triassic communities and adaptation to marine environments are analyzed. Original Russian Text © A.G. Sennikov, 2011, published in Paleontologicheskii Zhurnal, 2011, No. 1, pp. 82–96.